Zynga, a company that started out creating games for mobile and online purposes, like their first and most famous title, Farmville. Since then, they have expanded into the gambling world, with poker and slots. This has been an amazingly smart move on their behalf, as they are starting to see just how profitable it can be. 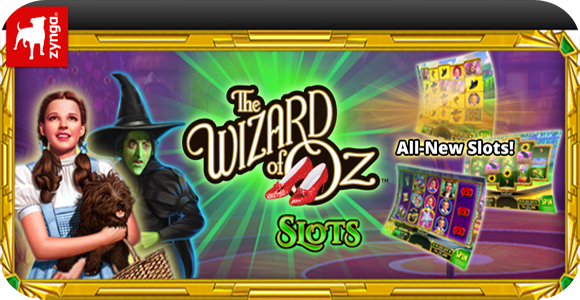 Their success started with Zynga Poker, where they then expanded into other markets by launching the Wizard of Oz and Hit It Rich! themed slot machines. They acquired casino startup Spooky Cool, with the hopes of getting into the real-money gaming world. Hit it Rich! top-50 grossing iPad games for 72 straight weeks since March 2014. Zynga is starting to transform social games, creating mobile casino games that actually work, become popular, and bring in new members every single day. It is exactly what casinos want to do now, make slot machines more attractive to young players. We will keep getting great quality games straight to our mobile devices as long as companies see how great the future is in gambling.